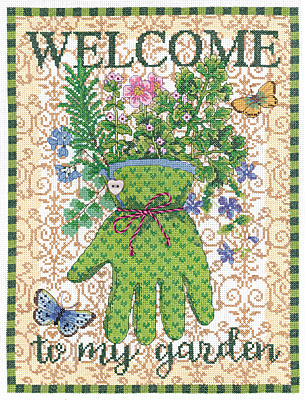 A twisted floss cord and a button add dimension to the herb and flower stuffed glove in this design by Jane Maday. Each kit includes 14-count white cotton Aida, 6-strand cotton floss, button, needle, chart and instructions. Finished size: 11" x 15"
SIGN UP for our Special Offers and promotions!